Facebook is a free social networking website that allows registered users to create profiles, upload photos and video, send messages and keep in touch with friends, family and colleagues. Currently, Facebook has more than 1 billion users in the world. Facebook users employ it in different ways. Some people use it for entertainment while others use it for business purposes. 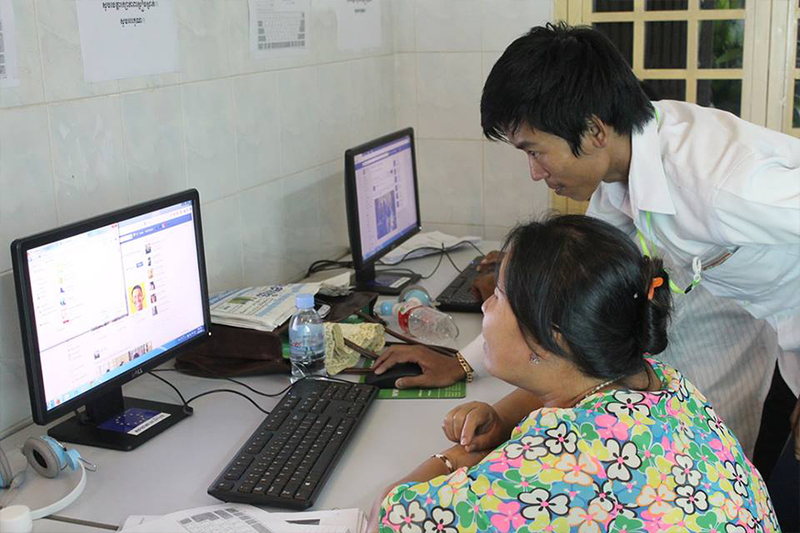 On August 29th of 2014, the ICT project of Sahmakum Teang Tnaut (STT) conducted a monthly training course on Facebook to urban poor community activists at the STT computer lab. 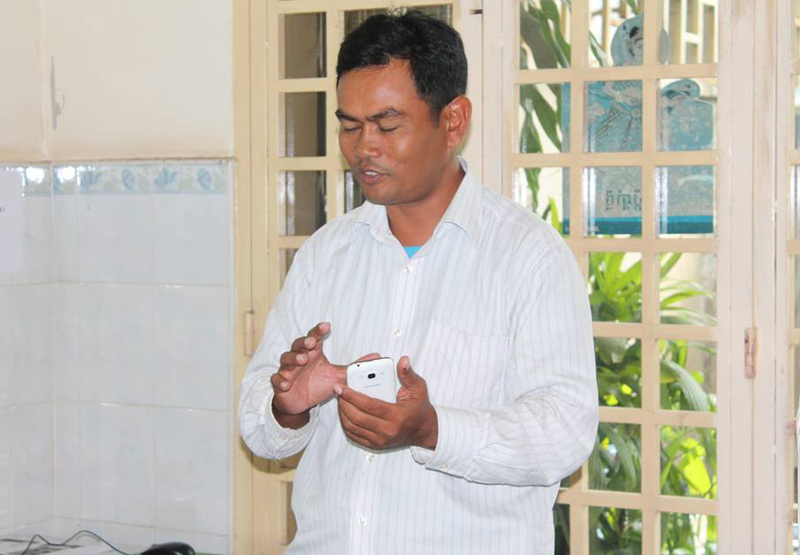 The Facebook training followed a two-part series of training in Khmer Unicode, and then Internet and Email. The 6 participants came from a variety of urban poor communities surrounding Phnom Penh City. 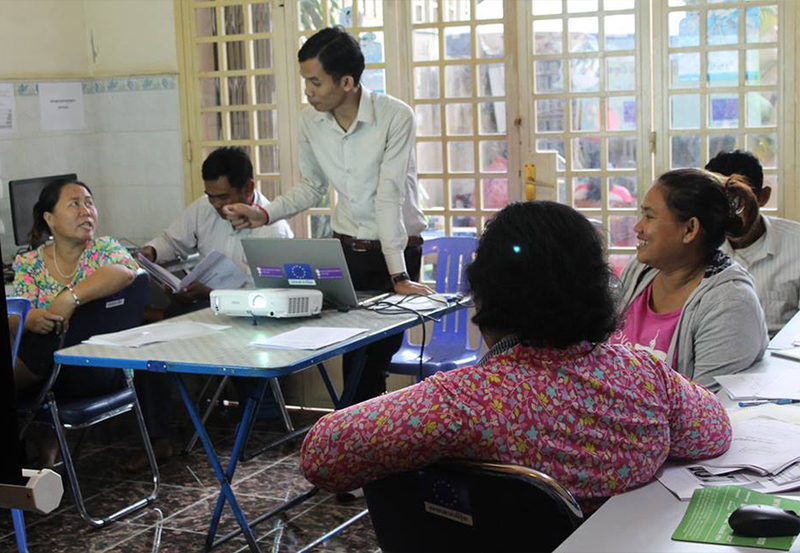 The training aimed at strengthening the urban poor community activists’ knowledge by using technology for advocacy and by having them participating in urban poor development in Phnom Penh. The training was comprised of three important sessions: an introduction to Facebook, how to create a Facebook account, and practice sessions on its uses. The training also focused on using Facebook with a smart phone. The ICT project team taught the community activists how to create and use Facebook to improve communication and share community information through social media. Participants were also able to find information on social media to expand their knowledge beyond traditional media outlets. The first session, in the morning, was an introduction to Facebook. First, a trainer gave some facts on the social media giant. It is an unpaid social network and is extremely popular with social media users. Facebook became available in Cambodia in 2008 and has been gaining users here everyday since. Second, the advantages and disadvantages of Facebook were introduced to participants. The website is free of charge and allows you to engage with friends, family, literature, games, and so on. Most Cambodians use it for social and entertainment purposes. Nevertheless, there is still a risk for users to waste time if you don’t manage your time effectively. And like most Internet sites, there is always a chance of stumbling on fake information and/or immoral content. In the second session, trainees were shown how to create a Facebook account. Participants were also given a chance to practice using the site during this session. After they had all created their own personal Facebook account under the instruction of the trainers, they were also taught how to do it on their smart phone by installing the Facebook application. The participants were then able to use Facebook on both the computer and the smart phone. The last session of the training course was a great opportunity for participants to practice what they had learned under the guidance of the ICT staff. They had a full evening shift to run-through both how to create a Facebook account and how to use it, using the computer and smart phone. They also managed to share, like, and comment on information they found on the site. Overall, the training course was a success and the participants were very pleased to have learned how to navigate the world largest online social network.